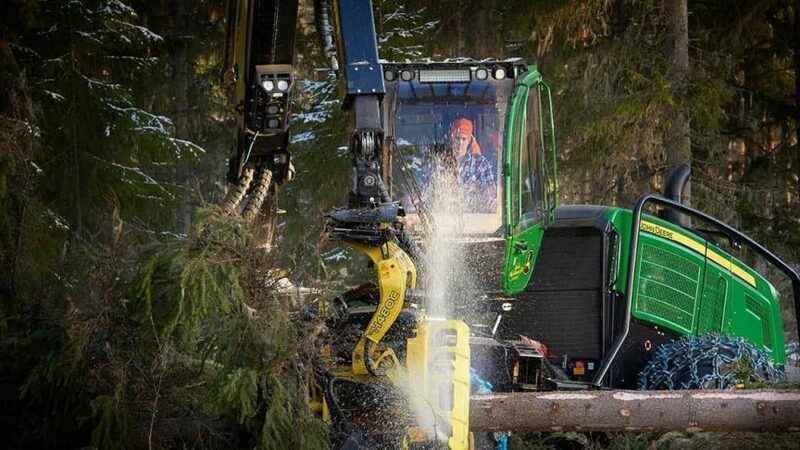 John Deere Construction & Forestry Company (Deere) and Hitachi Construction Machinery (Hitachi) have had a long and successful global partnership spanning multiple continents and product lines. This partnership has served both companies well and supported each company’s global growth over the multi-decade relationship. However, after 29 years of distribution Deere, Hitachi, and HCA have agreed to end the current distribution arrangement in Australia. As part of this partnership and since 1989, Hitachi Construction Machinery (Australia)(HCA) has distributed Deere branded and manufactured construction, forestry, and compact machinery but as the joint businesses expanded over the years, so has each company’s priorities in various markets around the globe. So, due to multiple factors Deere, Hitachi, and HCA have agreed to end the current distribution arrangement in Australia and increase focus on our individual product lines. The transition date is set at 1 May 2019. Over the course of the next five months Deere and HCA will work together to execute a seamless transition of business to John Deere Limited’s newly appointed construction and forestry dealers in Australia. As of 1 May 2019, RDO Equipment Pty Ltd (RDO Equipment) will be appointed the authorized John Deere Construction & Forestry Dealer for John Deere Limited in New South Wales, Victoria, Queensland, South Australia, Tasmania, and the Northern Territory. AFGRI Equipment Pty Ltd (AFGRI Equipment) will be appointed the authorized John Deere Construction & Forestry dealer for John Deere Limited in Western Australia. HCA, John Deere Limited, RDO Equipment and AFGRI Equipment are committed to working together to ensure the transition has minimal impact on customers’ access to machines, parts, and service. Similarly, HCA, John Deere Limited, RDO Equipment and AFGRI Equipment are committed to smoothly transitioning customers who have existing agreements and service contracts with HCA. “We thank John Deere for the partnership that has been enjoyed over the last 29 years but ultimately we believe this change in distribution will allow HCA to increase our focus on our brands, and provide an improved experience to customers across Australia.” David Harvey, Managing Director of Hitachi Construction Machinery (Australia) said. The changes announced have no impact on Deere-Hitachi partnerships or distribution arrangements outside of Australia. HCA will continue to supply the full range of products and associated support for Hitachi, Bell, Wenco & MEF products.